I know we’re almost at the end of summer, but if you need one last read for the beach or the Labor Day weekend, I’ve got the perfect recommendation. 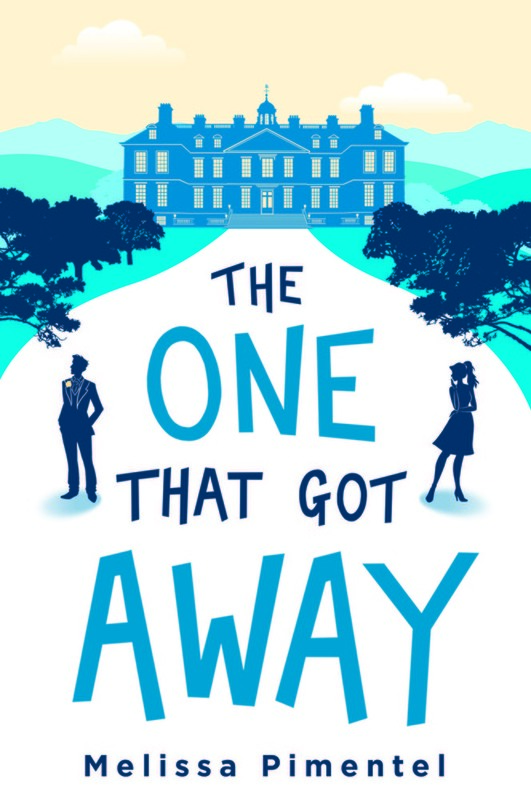 Melissa Pimentel’s The One That Got Away is a funny and fairly adorable modern retelling of Jane Austen’s Persuasion. It’s a touching, feel-good story, and a must-read for anyone who has watched Austen adaptations with a smidge of envy. Ruby is a New York career woman through and through, and she’s mostly content with her life. However, with her best friend decamped to New Jersey with baby #2 on the way and her younger sister about to be married in a castle in the UK, she’s reevaluating some things – and worried about seeing her successful ex Ethan at the wedding. What follows is a then-and-now tale of love, loss, and figuring it all out again years after the fact. Given that Pimentel’s novel is a retelling of Persuasion, you can likely guess the ending. That doesn’t mean that there weren’t some unexpected twists and turns along the way though – this is a thoroughly updated version. I won’t say any more, because I think this book deserves to preserve the surprises it does have. Beyond the plot, it’s clever and entertaining, and I found myself chuckling several times, or at least smiling down at the book with gentle amusement. Pimentel knows her audience and her pop culture, and I think she infuses the right amount of cute into a familiar storyline without edging over into sappy. I very much enjoyed The One That Got Away. Now, I do want to be fair and mention things that brought me out of the story a bit, though they didn’t dampen my enjoyment: the first chapter is a bit of a slow set-up, and you have to just push through it and get adjusted to Ruby’s first-person narration. Don’t worry, she’s intelligent and unpretentious, and if you’re anything like me you’ll end up liking her immensely. The second thing is that the book is set up in Then chapters and Now chapters, so you slide between Ruby’s first person present and third person from the past. Third thing: there are several Briticisms scattered about that I don’t imagine would naturally be flowing through an American’s head. But, as the book was published first in the UK, this does not surprise me. And as I mentioned, it didn’t affect my enjoyment of the book. In all, The One That Got Away is a satisfying, charming read with a heroine to root for and the perfect dose of English scenery. Recommended for: fans of modern Jane Austen adaptations, and anyone who likes light, smart, and funny women’s fiction, à la Marian Keyes. The One That Got Away will be released by St. Martin’s Press on August 22, 2017. Fine print: I received a finished copy of this book for review consideration. I did not receive any compensation for this post.